Red Oak Crown Cut Fumé. As its name implies a slight reddish hue is visible in its appearance. Indeed, the colour of the sapwood varies from light grey to pale red and the heartwood from pinkish to pale red or clear brown. The heartwood is similar to the of other Oaks, with a toasted or pink color, but has a reddish tint. A fresh veneer for creative areas. Red Oak Crown Cut is widely used in furniture, doors, plywood, paneling, moldings, woodwork, cabinets, and tables. Some figured or exceptional logs are used architecturally for oak panels, doors, and accents.This veneer is nearly to all common uses of hardwoods, and especially popular where strength and durability are required. This venner implies a fuming process that speeds up the natural ageing process. 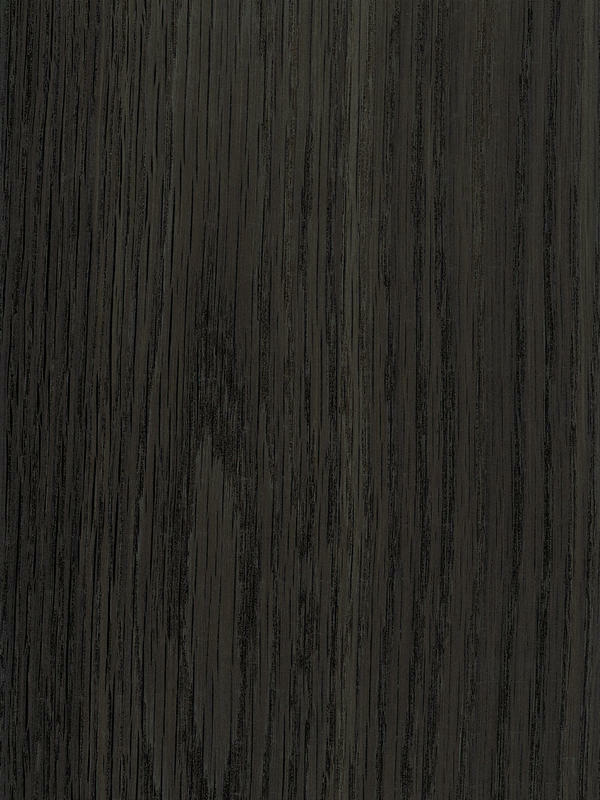 The fuming reacts with the acid in the older mature wood, changing the colour to various shades of grey brown to almost black, sometimes slightly streaked lighter or darker. It should be noted that the sapwood remains unaffected by the process. That is why Red Oak Crown Cut Fumé can suit at any space even more than with its natural appearance. Its cold and dark colour makes it perfect to highlight any element of interior design, getting unique and infinite combinations.